This entry was posted in Uncategorized and tagged C, hex editor, hexer, release, tool by petert. Bookmark the permalink. It look very promising. 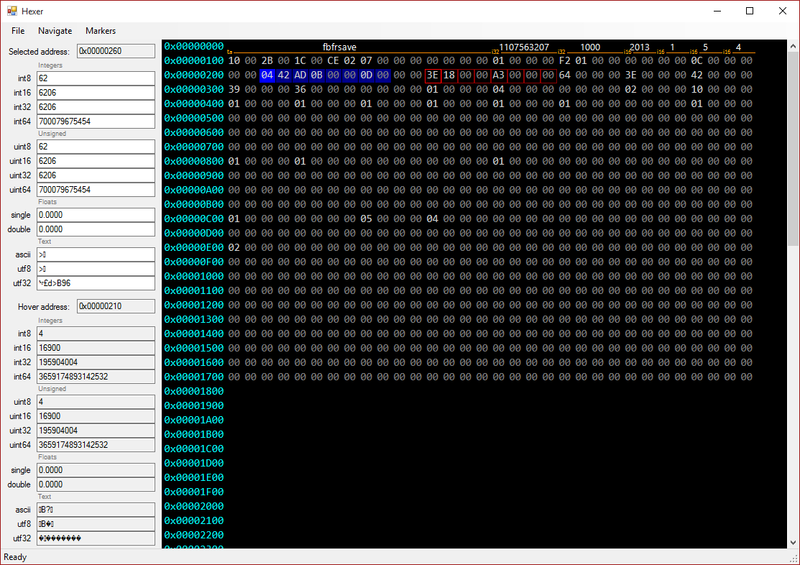 Its fell lot more “interactive” than standard hex editor. Whats wrong with wxHexEditor? It’s open source, nicely written, efficient and adding the functionality you need would be quite simple. It didn’t have all the features I wanted, and adding them would mean working with wxWidgets, which I did in the early 00s and really don’t want to repeat. I like neither the API philosophy/design (which is of course limited by what C++ was in the 90s, to be fair), nor its look on windows OSes. You are of course entirely correct that it would be a far saner alternative than rolling your own from scratch. But then again, I probably only spent less than 10 hours total on this project, and I had fun with it. Since I’m doing this entirely in my free time for fun I don’t really need to choose the most efficient option every time if it would be less satisfying.